This came out during a residents and council candidates interface organized by the Centre for Community Development in Zimbabwe (CCDZ) on July 28, 2018 hosted. The event, held in the high density suburb of Mbizo is part of CCDZ’s Local Governance-Service Delivery forums which are aimed at enhancing residents’ participation in service delivery issues. Residents present during the interface highlighted their expectations from candidates vying for council seats in the town. During the meeting, the residents concurred that service delivery in Kwekwe was generally poor owing to a plethora of factors. The residents however highlighted that poor leadership was among the major factors contributing to poor service delivery as councilors and other duty bearers were failing to be responsive to the needs of residents. “We are concerned as residents that most of the councilors have failed to deliver and on top of that, they do not want to engage with us. I think now is the time for residents to choose able leadership not to vote along political party lines. We really need to consider one’s credentials before we vote people into office,” said Sylvia Mwanaka. Another resident present during the meeting added that residents need to speak with one voice if service delivery is to improve. “Our major challenge is that we are mostly divided by politics and as such we have failed to work towards a common goal. We need consensus as residents on the caliber of councilors that we want because if we continue to be divided by politics, service delivery will continue to deteriorate,” said Abel Moyo. The residents also expressed concern that despite numerous promises, some councilors were failing to deliver on their mandate hence the need to vote for servant leaders. After submissions from the residents, aspiring councilors present during the meeting outlined their manifestos after which they were deliberated by the residents. Chief among the issues highlighted by the councilors included water provision, road repairs, refuse collection and sewer reticulation. 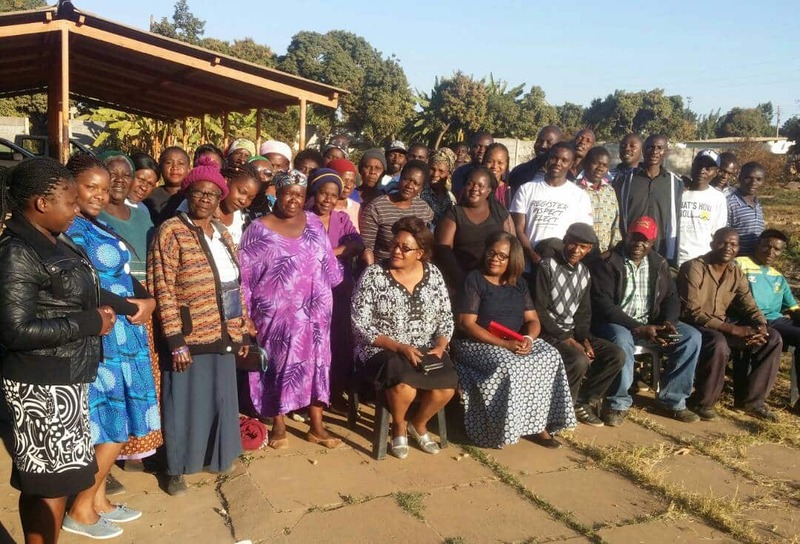 Outgoing Councilor for Ward 4, Janet Ticharunga urged residents to put aside political differences and work towards development in their respective wards.